You can Check your Internal Assessment Entry Details at any time. No restriction as 6:00 PM to 7:00 AM. Normally you can check the Internal Assessment Entry Details thru http://coe1.annauniv.edu from 6:00 PM to 7:00 AM only. And you must know the Register Number and Date of Birth for check the Details. So you can't check your friends details without knowing their date of birth. but now we have another option to check the details at any time. 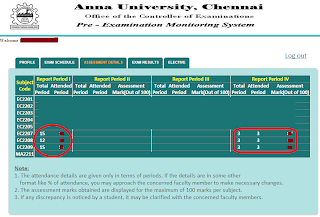 Anna University COE announced a instruction as follows, "Practical Assessment Marks and Attendance details should be entered only in Fourth Assessment Period. If the data is entered in any other assessment period is will not be considered. This is for your kind information and necessary action". But still the faculties are not listening the word and they are entering wrong entries. For Example, one college faculties are entered total period is 3 and total attended period 3 on a practical paper (Subject Code :EC2207) that means it is mentioned as for the full semester there is only 3 periods are allotted for that Practical paper!? Please Check the Image as bellow. Due to Teachers mistakes students can't missed their Internal marks. So, Please Teachers, take some care on this entry work, because this is very important for Students Internal Marks. Students Please check Attendance Entry on Practical Paper (at Final IAT Report) and if there is any discrepancy, immediately contact your faculty to solve the same. 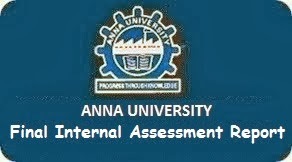 Anna University Final Internal Assessment Report updating is started at today morning and most faculties completed today. In the First 3 Assessment Reports, Only the Theory Reports are updated. But, this is the Final Assessment Report Entry for this Semester. 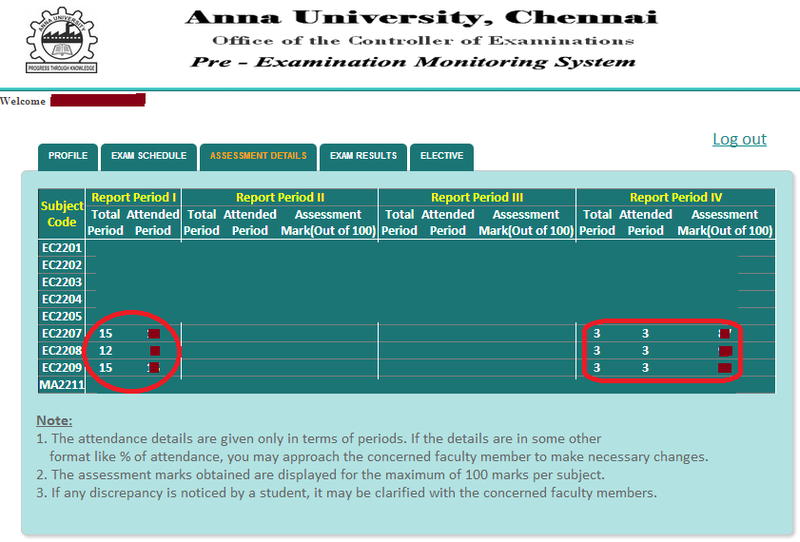 So Anna University COE Enabled the Practical Paper Details for Entering the Report. So, this time you can check the status of practical papers report also. If your data Not yet updated by your college then your marks and attendance report will be blank and can be updated by tomorrow or day after tomorrow.